Buy UltiCare Pet Insulin Syringes 29 Gauge 1/2 cc - Box of 100 online! UltiCare U-40 Insulin Syringes For Your Pet - 29 Gauge 1/2cc 1/2inch (12.7 mm) needle, 100 Single use syringes (10 packs). For 20 units or less. 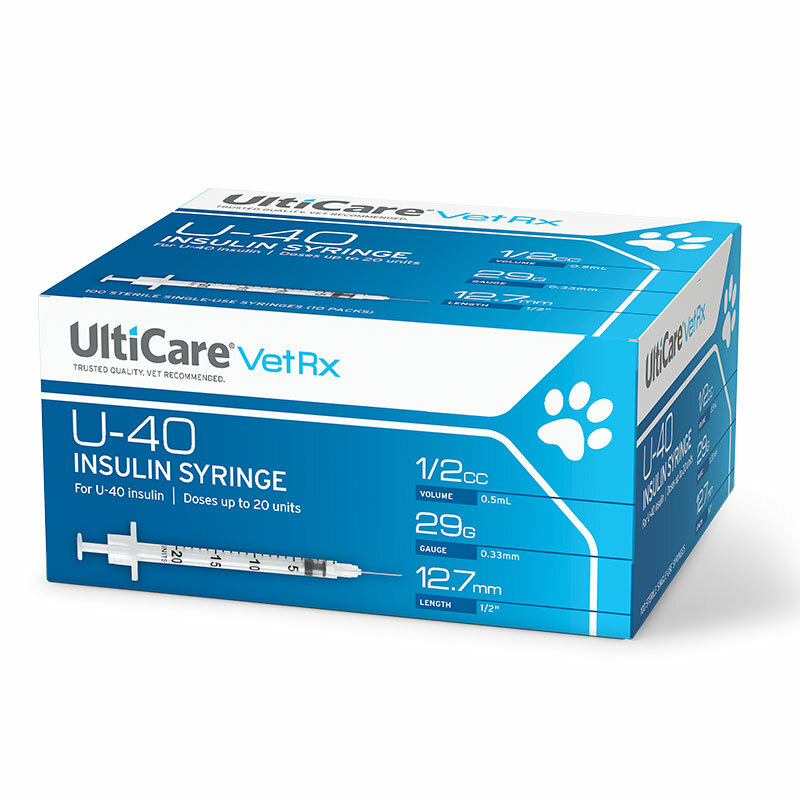 Manage your pet's insulin needs with the UltiCare 29g U-40 Pet Insulin Syringes. 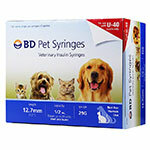 The high-quality pet insulin syringes are designed for maximum comfort and ease of use. They are ideal for dog or cat owners who want to ensure a less painful experience during blood glucose monitoring. Features include a silicone-coated barrel for ease of injection, a tri-beveled tip for quicker injection, and an electromagnetically polished needle for smoother injection. The pet insulin syringes are latex-free. 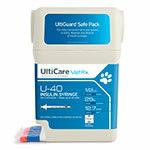 It is now an easy and less painful experience for your pet thanks to UltiCare U-40 pet syringes. 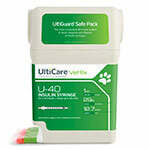 Each UltiCare U-40 package contains 100 single-use pet insulin syringes (10 packs of 10). 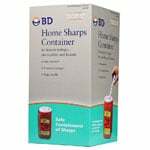 Great syringes at a great price. Easy to order, fast delivery. Easy to order, fast delivery, great price. I’ve been ordering these syringes from adw for quite awhile. They’re easy to order, great quality, and quick shipping. Excellent product. This was my second order. Syringes completely to my satisfaction, and delivery was prompt. Price is very reasonable for a box of 100 syringes. I’m glad I was able to find these needles and the size needed. Fast service! Great quality, price, and fast delivery. Couldn't ask for more. Good product, quick delivery. Will continue to order as needed. Very good product. Fast shipping and much better price that other suppliers. Will continue to order more as needed. 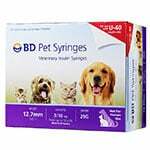 Great source for dependable & affordable diabetic pet supplies. Good product, fast shipping and lower cost than the vet charges.